Usually, a lot of factors are considered before posting on Facebook: day, time or posting type are just three of them. But one important thing has always been ignored: Which influence does the weather have? A new Fanpage Karma Analysis is bringing light into the darkness. For the first time ever we could prove that there is a correlation between weather and user behavior. Way less interactions are generated while the sun is shining. Or the other way round: If its raining the amount of reactions nearly doubles. 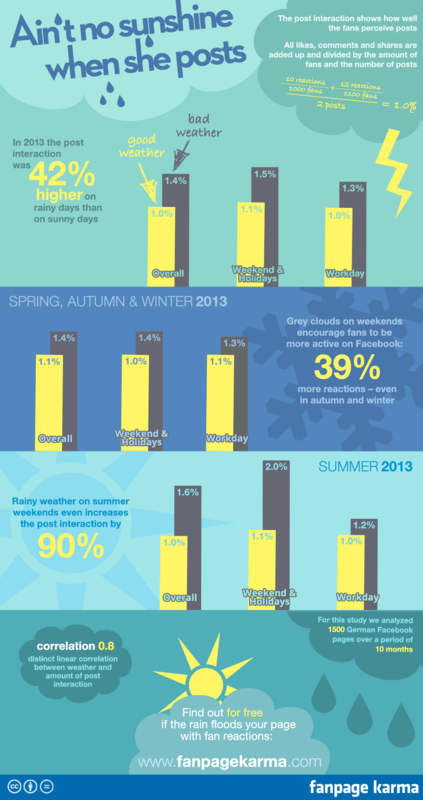 We did some research to explore how big the influence of the weather actually is. How did we come up with the results? 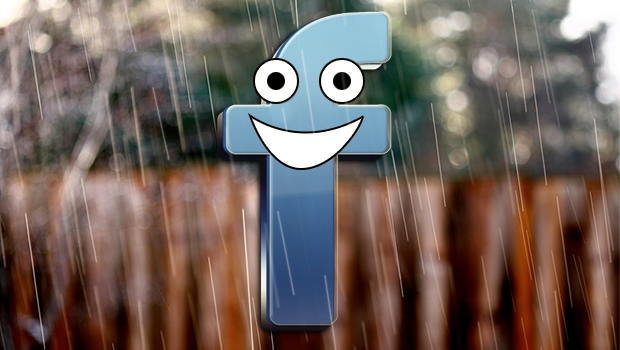 For the study we analyzed 1500 German Facebook pages, calculated the average interaction and rated the weather for every single day of the year 2013 based on historic weather data. Depending on the weather we added up the interactions of the specific days and divided them by the amount of posts. Therefore we classified each day as working days, weekend & holidays and overall. We are able to prove a distinct linear correlation between weather and user behavior. You can see the impressive results in our info graphic. One of the learnings for sure is: If you want to get as much buzz as possible, don’t only check for the particular date and time also keep the weather forecast in mind.